Atriax Building Solutions takes to the High Country to design and build a new restroom/shower facility which will serve as the new park standard at the Julian Price Park Campground. The project, in association with the National Park Service and the Blue Ridge Parkway Foundation, and accomplished through donor contributions, completed construction in October 2017, and will be open to the public in Spring 2018. The campground is located near Blowing Rock, NC, and is one of the most populated and heavily used facilities along the Scenic Parkway in the beautiful Appalachian Mountains! With minimal disruption to visitors and wildlife, and in consideration of all aspects of the environment, the new 21′ x 30′ facility utilizes highly durable, highly functional, energy efficient materials and is in keeping with the architectural theme of other Blue Ridge Parkway facilities. In an effort to enhance its competitive capabilities, Atriax recently entered into the U.S. Small Business Administration’s All Small Mentor-Protégé Program. Our large business mentor is ZAPATA, a full-service architecture, engineering, and construction management services firm headquartered in Charlotte, North C arolina. 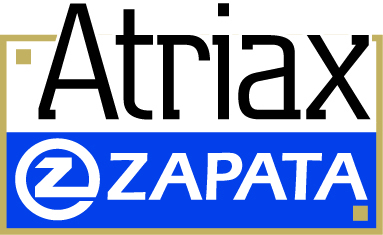 ZAPATA is providing developmental assistance, engaging and encouraging employees from both companies to share ideas, expertise, and resources. The objective of this mentor-protégé relationship is to improve Atriax’s ability to successfully compete for Federal contracts and to provide assistance in performing prime contracts with the Government. Atriax was recently awarded a contract to provide expertise to evaluate physical security at all essential buildings, utilities, and other components vital to the core operations of this VA hospital in Mt. Home, TN, both on the main campus and at it’s leased facilities. Recommended modifications will improve the physical security protection of “mission critical elements”, those that are required to continue operation during a natural or manmade extreme event. In an effort to support the award of a new 5-year contract for the Department of Veterans Affairs VISN 15, located in the Midwest, Atriax has officially opened a brand new office in Kansas City! Staffing that office will be a Project Manager and support staff. We will occupy a suite on the second floor of this beautiful building, in a convenient adjoining space with our frequent teaming partner, GLMV Architecture. Atriax Responds to a 911 Call!